Let’s face it: no matter how organized you may be, wedding planning is never going to go perfectly smoothly. There are too many details and unexpected issues that are certain to crop up. However, by knowing what the most common wedding planning problems are and knowing how to tackle them, you can prepare yourself and be ready for them! Below are a few of the most common wedding planning problems—and how to handle them. When it comes to weddings, most people understand that it’s an important event, so typically your guests will be good about sending their RSVP. However, there will always be those friends or family members who drag their feet with responding—or miss the deadline altogether. To avoid this wedding planning problem, try to make the RSVP process as easy as possible. 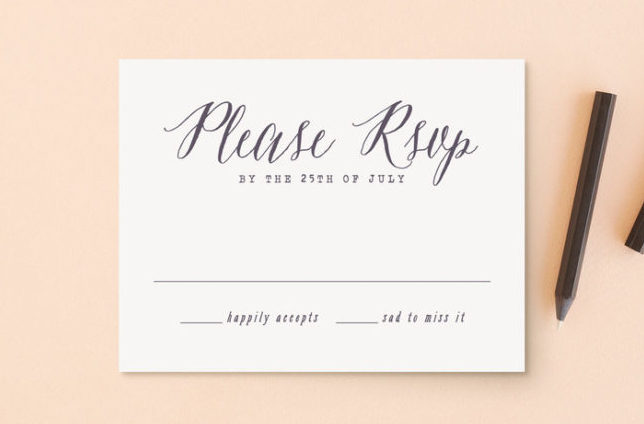 Enclose a pre-addressed, pre-stamped reply envelope in the wedding invite, or an RSVP email address. If you find yourself still struggling with guests who have not RSVP’d, reach out to them with a phone call. Vegans, diabetics, Kosher-keepers, those with allergies—it can be a little overwhelming to accommodate all the dietary restrictions that people have. You don’t want to potentially offend or physically hurt anyone at your wedding with the food. These days, this is one of the biggest wedding planning problems that couples face. The best thing to do is to choose a couple classic meat entrées, one meat-free entrée, and to serve buffet or family style. Buffet and family style allow guests to choose what they select to eat. And remember: most guests with specific dietary requirements mot likely won’t be expecting special treatment at your wedding. The guest list is one of the most stressful parts of wedding planning. You don’t want to offend anyone, but you can’t invite everyone you know. And the etiquette questions can make you go crazy! For example, one of the most common guest list questions is, Do I have to invite someone just because they invited me to their wedding? And what about inviting kids? What about plus ones? The main thing to know is that it’s your big day, and if you don’t want someone there, don’t invite them. You can explain that you want to keep your wedding small or (if you’re talking about kids) quiet. 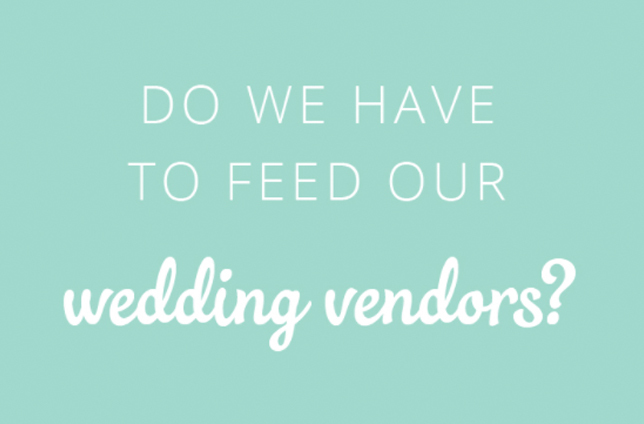 When booking a photographer, videographer, band, DJ, florist, or any other wedding vendor, it’s a great idea to ask them if they expect meals during the reception. You’ll need to make sure they are fed if they expect it, especially if they’ll be working over five hours—and make sure this is made clear in your vendor contract. 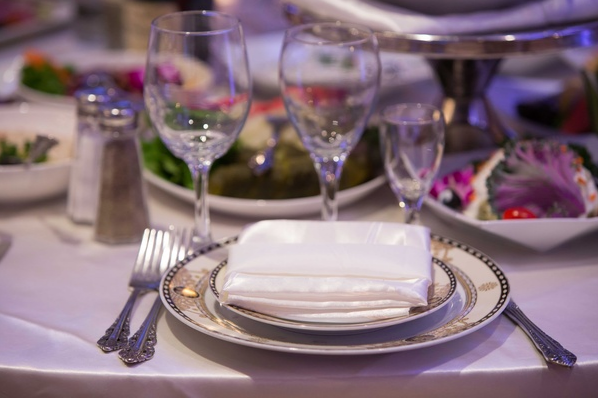 Often times, a caterer will make something “smaller” for the wedding vendors, such as a sandwich platter as opposed to the more expensive wedding meal that the guests receive. No one should ever feel obligated to invite their boss or colleagues if they prefer them not to be there. In order to avoid false expectations or offended feelings, make it known at work that your wedding will be limited to family and close friends. But if you choose to exclude your “work family” from your wedding, it’s a good rule of thumb to keep your wedding and planning talk to a minimum at work. Hopefully these common wedding planning problems and these solutions help you out with your own wedding planning. Another great way to tackle wedding planning issues is to get help from a professional wedding planner. When you book with De Luxe Banquet Hall, you’re not only booking an extraordinarily beautiful wedding venue; you’re also booking an experienced, professional wedding planning team. We have hundreds of vendors for you to select from, and we are experts at planning flawless weddings. For questions or more details, please don’t hesitate to contact us!